The South Shore Kings 18U Tier II team is back together again. The Kings are reconvening its fall squad after every member of the team participated in some level of high school playoffs this winter. After capturing a district title this fall, the members of the Kings went off to their individual high school teams for the winter season. Now, the Kings are back together again to play in this week’s Chipotle-USA Hockey Youth Tier II 18U National Championships. As the Kings got reacquainted, they were fortunate not to have to look too far for someone to help them get ready. With its 16U Tier II team also qualifying for nationals by winning a Massachusetts District title in late November, the South Shore teams had someone to scrimmage with ahead of nationals. Separately, the members of the 18U Kings have been through plenty of championship competition this winter. Patrick Donahue won a Massachusetts Division I-A title with Boston College High in a four-overtime championship game at the Boston Garden. Dylan Webber, at Bishop Hendricken, and Aidan Clarey, at Cumberland, each won Rhode Island state high school titles. After needing overtime to get through the quarterfinals of their state tournament, the Kings allowed just one goal in the last two rounds, winning their 18U state title, 4-1, over the Eastern Mass Senators to qualify for nationals. Daniel Savary had a goal and an assist in the championship game and led the team with five points in three games. The 18U team plays in San Jose, California, April 4-8. Meanwhile, the 16U team is in Plano, Texas, at the same time. After rolling over the Bay State Breakers, 8-0, in their Massachusetts District opener, the 16U team won three games by a total of four goals, including a late rally for a 6-5, overtime win over the North Stars Hockey Club in the semifinals. The Kings came from four goals down to win the semifinal. Tyler Marchi had two goals and two assists in the come-from-behind victory. Mark Hirshom added two goals and an assist. Marchi led the team with eight points, on three goals and five assists, in the four tournament games. Conor Oneil, who had three assists, and Xavier Felli each scored four tournament goals. 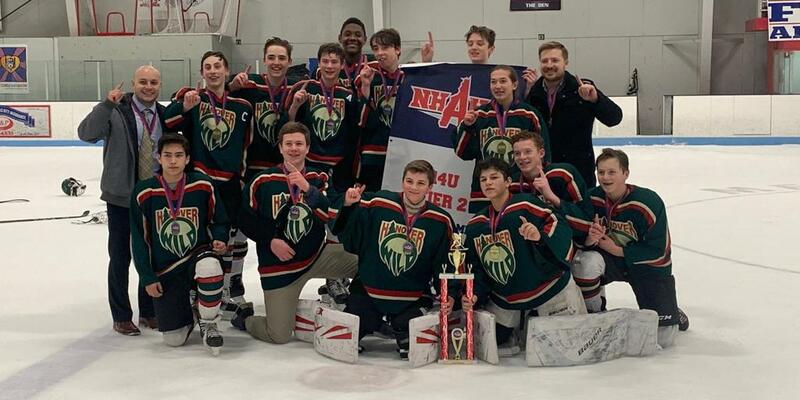 South Shore became the only EHF program with three nationals qualifiers when the Tier I 14U team won a title in March, beating the Neponset Valley River Rats, 3-2, in the final to join the two older teams as national qualifiers. 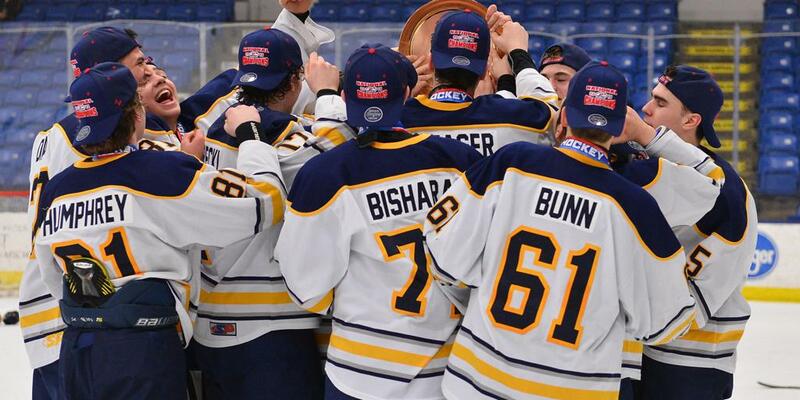 While the 14U team has had more time together than its 16U and 18U counterparts, all three South Shore teams head to nationals looking to put their best foot forward. Chipotle is the title sponsor of the 2019 Chipotle-USA Hockey National Championships.